To schedule an event, log on https://framadate.org. 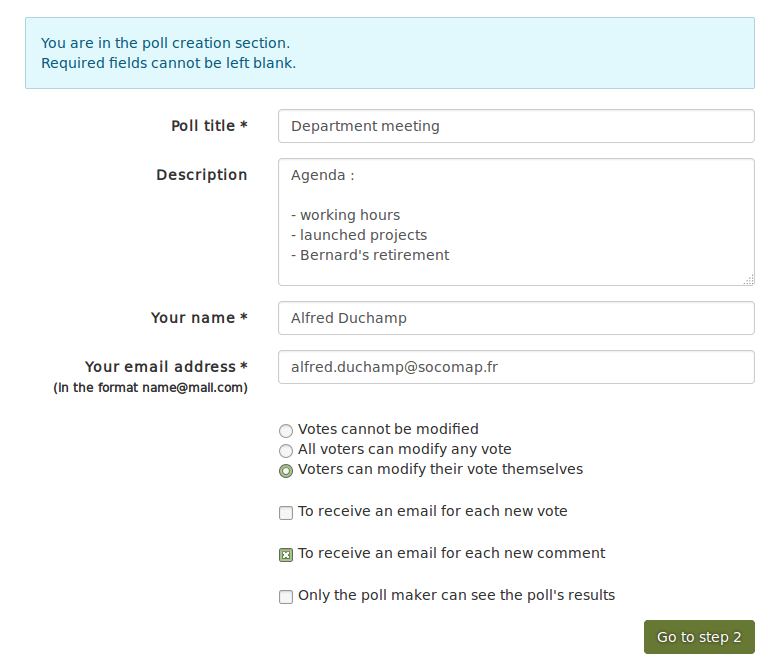 Please note that you can request a list of all your polls by clicking on « Where are my polls ». You will have to fill in the form with your e-mail adress. Fill in the presentation form. VYour e-mail adress will only be used to communicate informations about the survey (in accordance with the Framasoft&apos;s Services Charter). Checkboxes : choose from the options available. 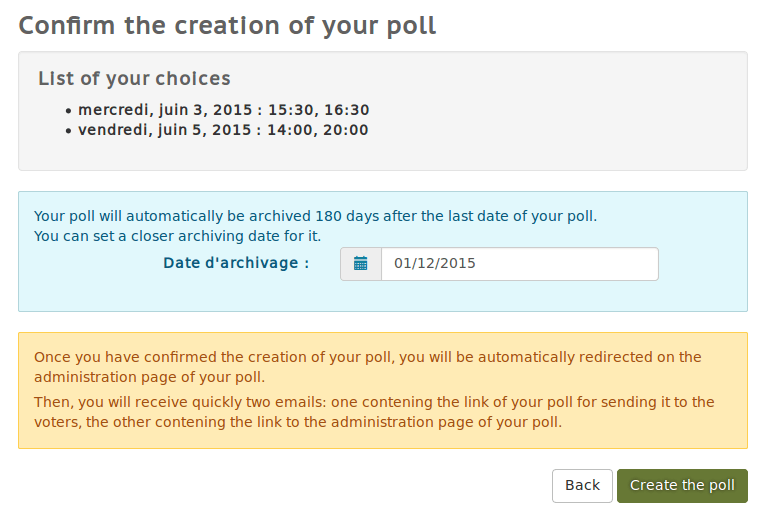 Trick : receive an e-mail for each new vote will help you to follow the advancement of the survey. 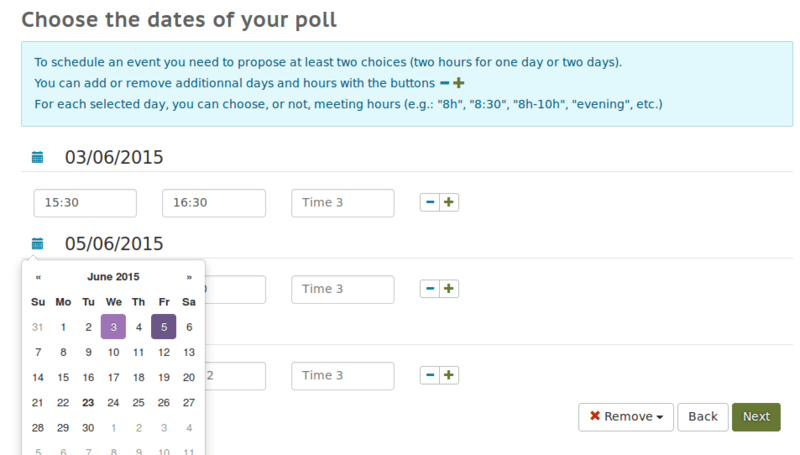 Set the dates by using the contextual menu, and refine the poll by entering hours. The buttons + and – allow you to add as many fields as you want. which allows you to copy the hours of the first day to the other. 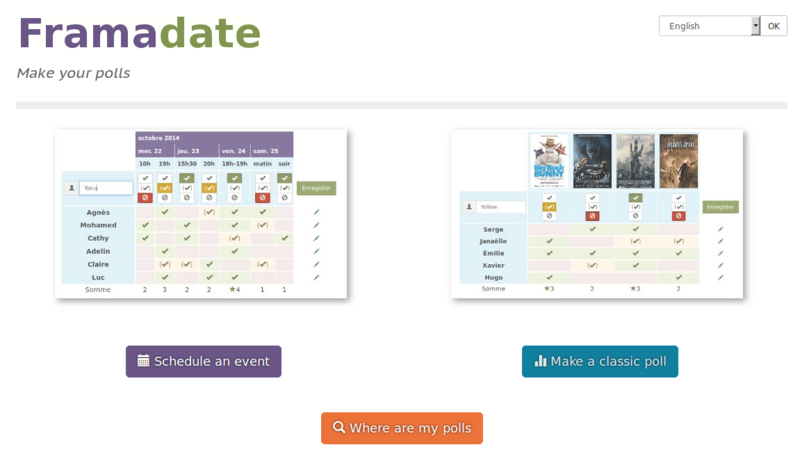 A page presents the summary of your poll. Here, you can enter yourself a date for automatic deletion. Then, you may validate the creation of your poll. the admin link which should be stored until the end of the survey. If needed, you are able to fill in the poll by entering your own preferences or the ones of another person. 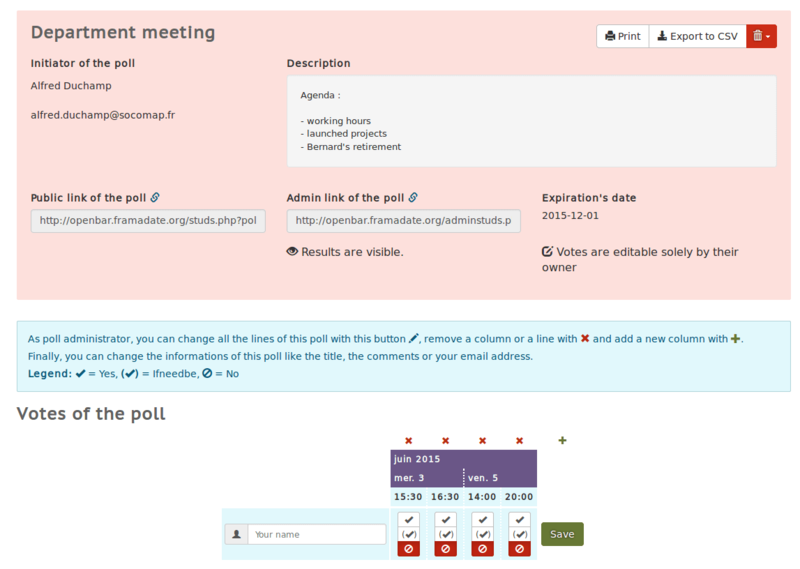 Note : from this admin page, you can export the results of the poll in a .csv format (which can be opened with a spreadsheet application like Excel or LibreOffice Calc). 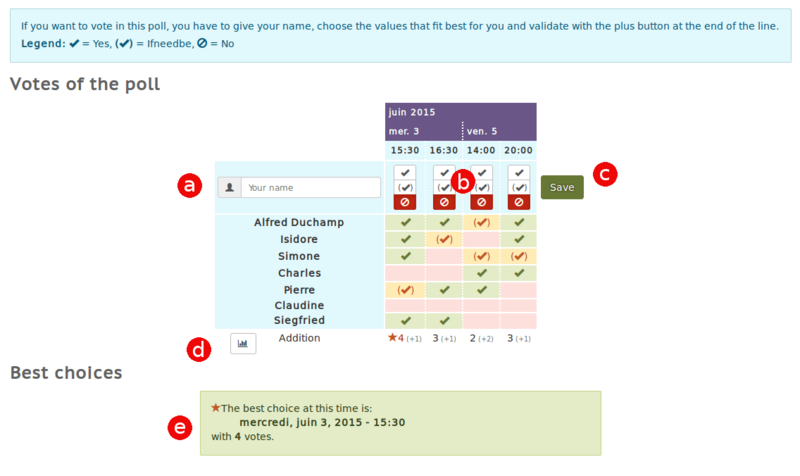 For each field, choose « yes », « if needed » or « no » (by default). It is possible to visualize the results on a diagram. After each saved vote, the results of the poll are updated. This How To is under Art Libre License.